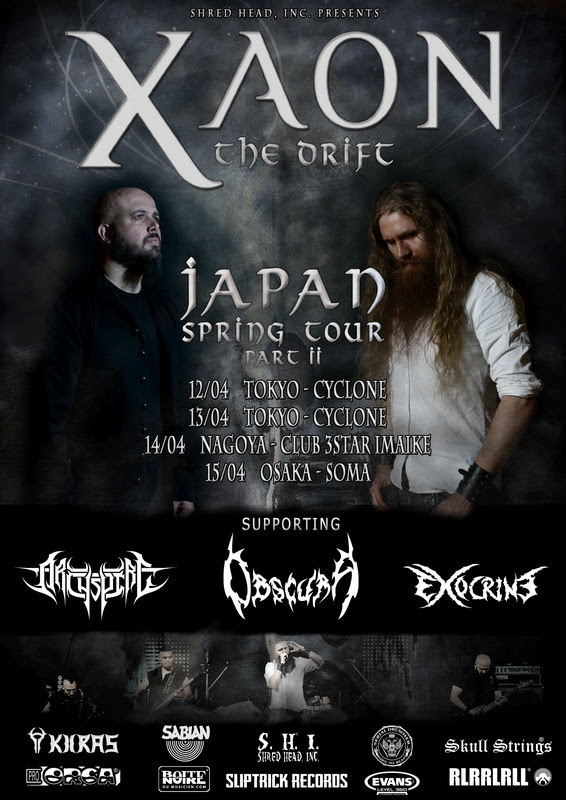 Swiss dark metal monsters Xaon are ready to set sail to the East and hit Japanese shores for the very first time supporting German giants Obscura, Canadian heavy hitters Archspire and French blasters Exocrine. 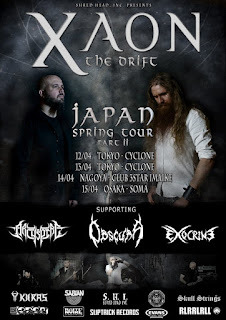 Since the release of their acclaimed debut album "The Drift" via Sliptrick Records, the Swiss based group have been creating tidal waves of approval on every stage they play and promise to be a future force in the all encompassing metal world. Check out the dates below.